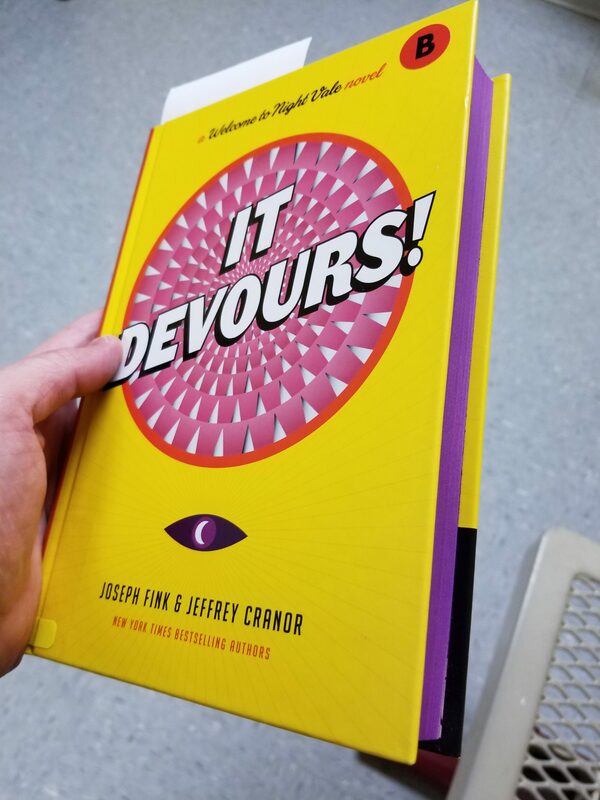 It Devours is a standalone tie-in novel based in the universe of the Welcome to Night Vale podcast and the Welcome to Night Vale novel, released in October 2017 by Harper Collins. Nilanjana Sikdar is a scientist and a member of Carlos’s team in Night Vale, which Carlos calls the most scientifically interesting town in the world. The team performs very important experiments, such as making machines that go flash and then bang, or measuring the effects o f being disappointed in potatoes. Nilanjana does experiments that involve growing bacteria. 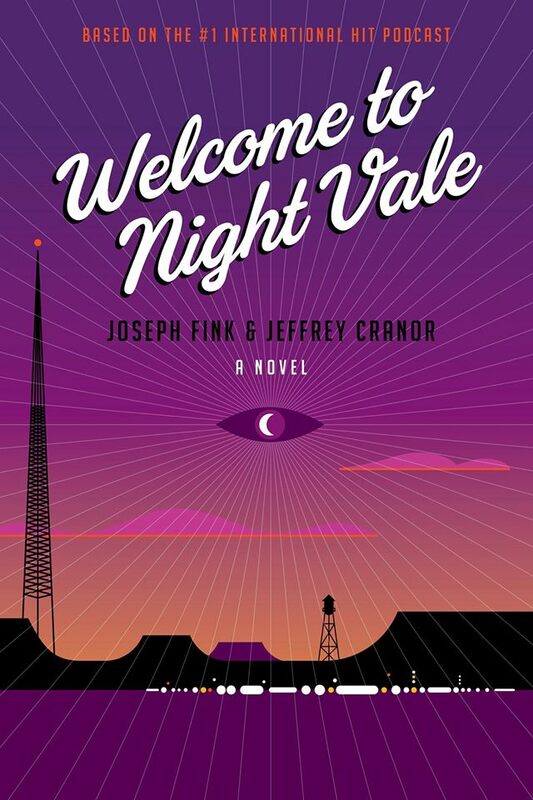 Welcome to Night Vale is most well known for their podcast (written by Joseph Fink and Jeffrey Cranor), formatted as a small town radio show set in a sleepy little horror town ala Stephen King or H.P. Lovecraft. The podcast is nearing its 4th anniversary and 2015 saw the release of a related novel of the same title from Harper Collins. On top of this, they also do live touring shows that tours both around the US and has gone to Europe, to Australia and New Zealand. The shows are in a similar radio-show format as the podcast, (with some differences that I’ll explain). The live shows are unique–they’re not just rehashes or previews of podcast episodes. After each live touring show is done they generally release recordings of that show. Night Vale is a mysterious small town in the American Southwest, a place of monsters, alternate worlds, angels, and any other manner of goings-on. This book tells the tale of two women living in Night Vale. The first woman is Jackie Fierro, a nineteen-year old owner of the town’s pawn shop. She has been nineteen for a long time, as long as she can remember. One day she is visited by an utterly forgettable man in a tan jacket and carrying a deerskin briefcase who pawns a piece of paper that says “KING CITY”. Jackie can’t let the piece of paper go. Literally, she can’t make the paper leave her hand–she can drop it, burn it, soak it in water, and it will always be in her hand again entirely intact. What does the paper mean? What is it for? Who is the man in the tan jacket? The second woman is Diane Crayton, PTA treasurer and mother of shapeshifting son Josh. Lately Diane has been seeing Josh’s estranged father everywhere she goes, and at the same time Josh has started to voice interest in this man he’s never met. Diane and Jackie both go searching for answers, and cross paths with each other in their search. Welcome to Night Vale (produced by Commonplace Books) is a fiction podcast, but quite different from any of the other fiction podcasts I listen. Most of the others publish short stories by different authors, where each new story has nothing to do with the others and is written by a different author. The easiest way I can describe the podcast is that it is a community radio show ala Prairie Home Companion, but one which takes place in a mysterious sleepy little town ala Stephen King or HP Lovecraft. If that sounds like something you’d like, you probably will! If you’re not sure what to think about it, download a few episodes for free and give it a try.